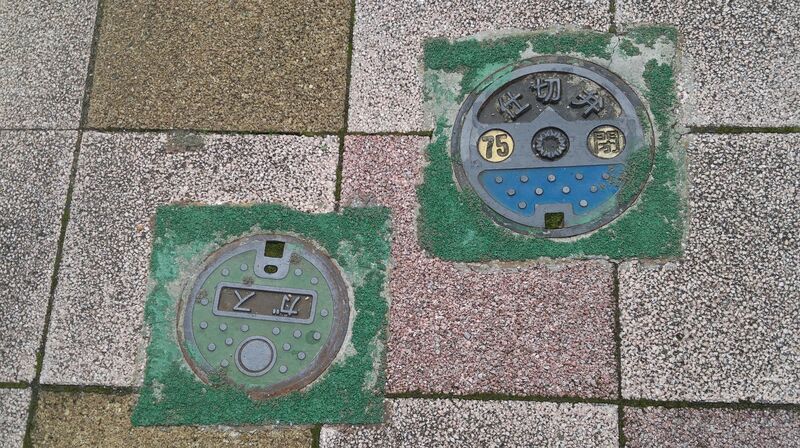 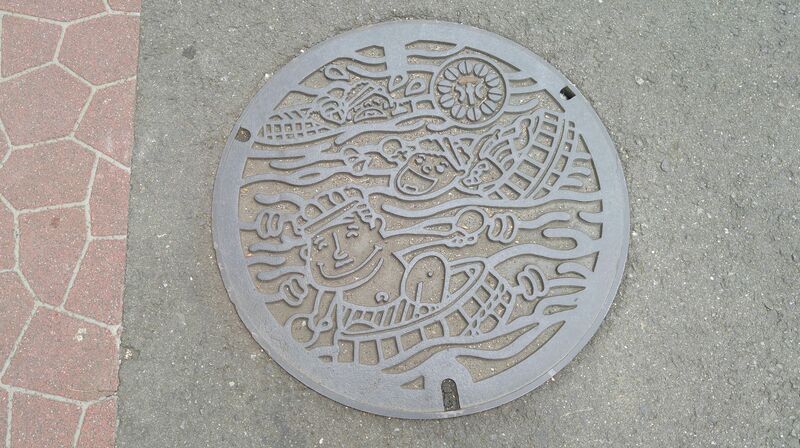 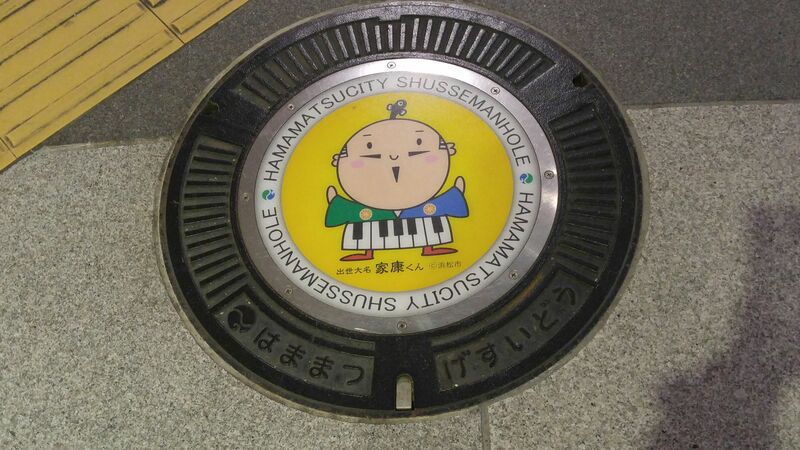 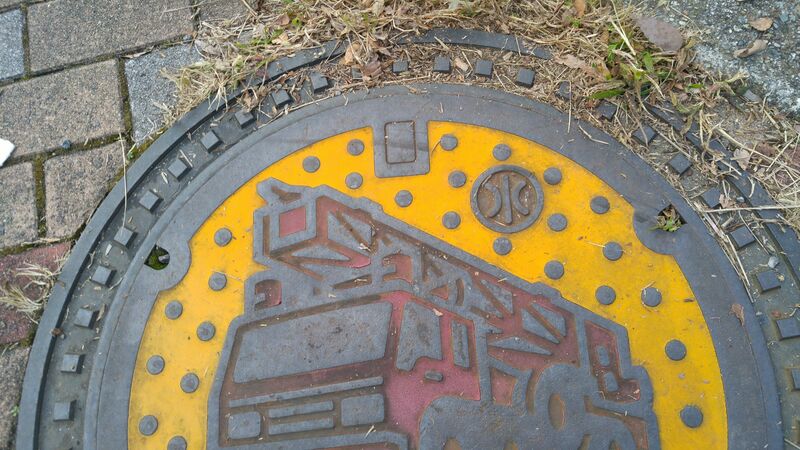 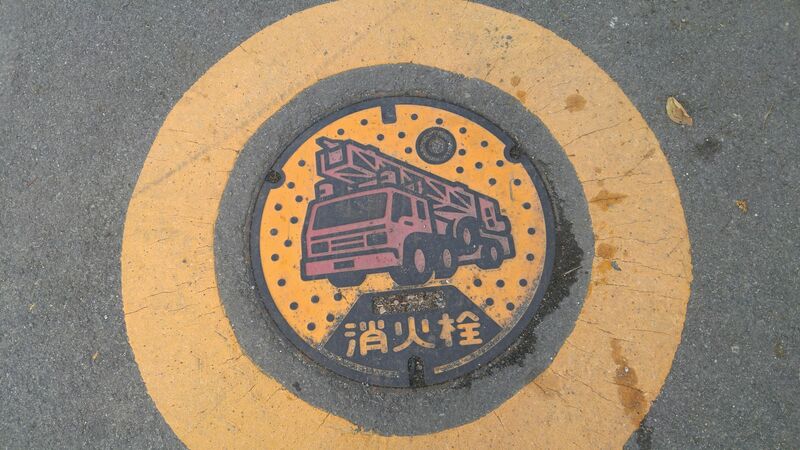 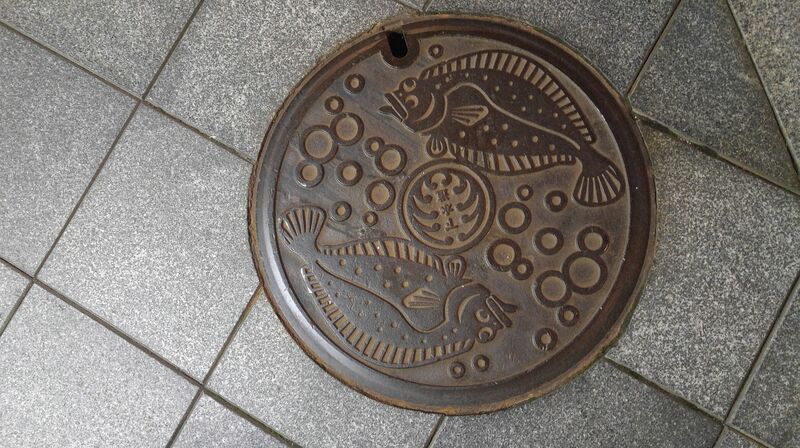 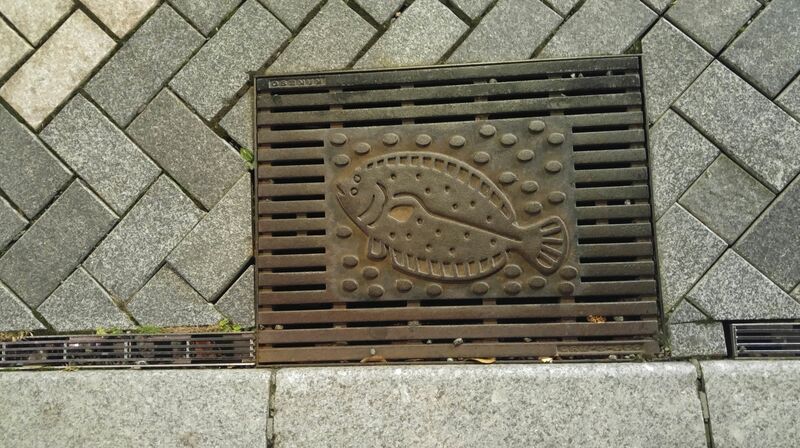 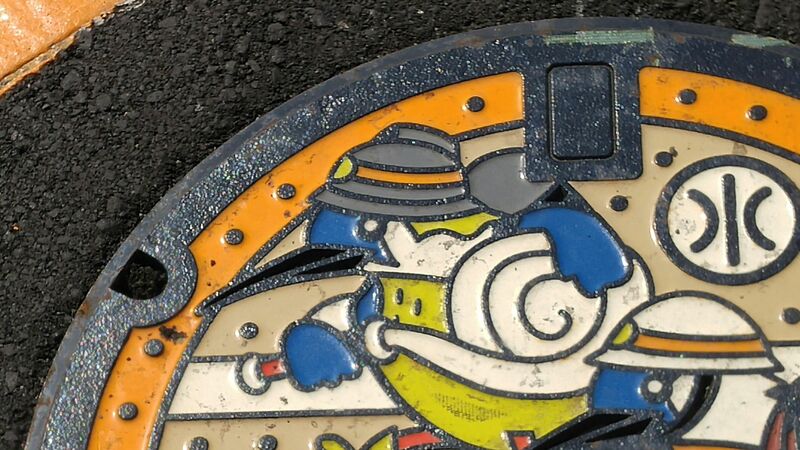 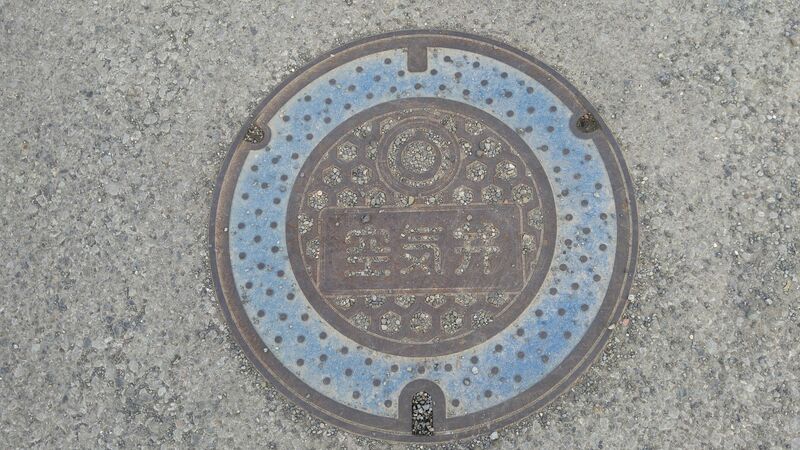 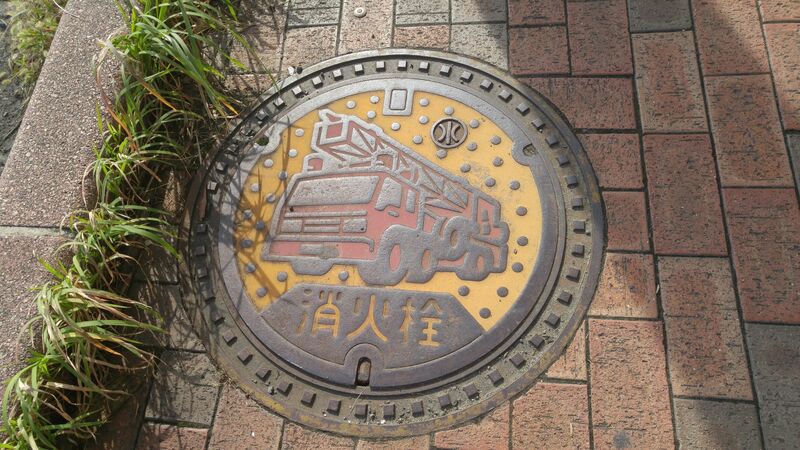 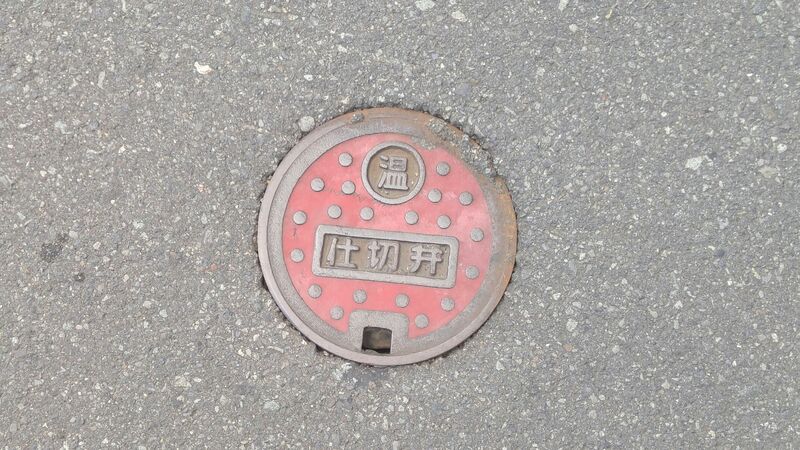 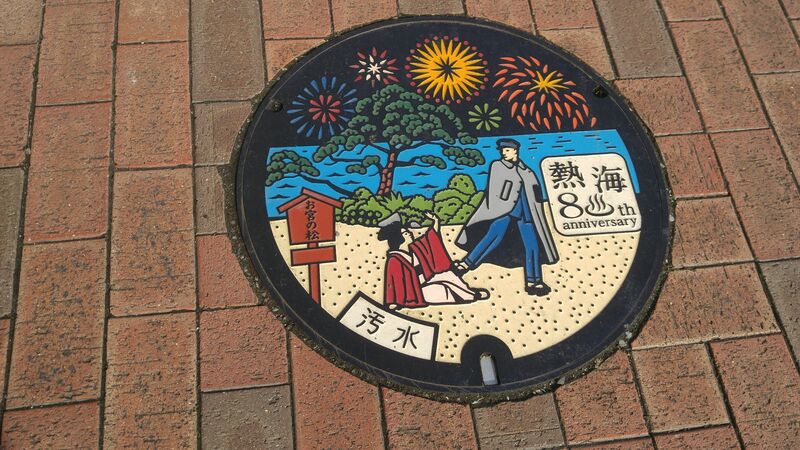 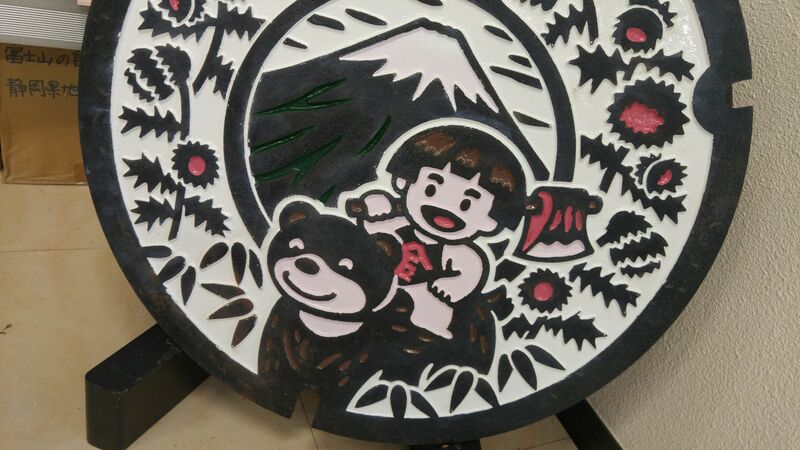 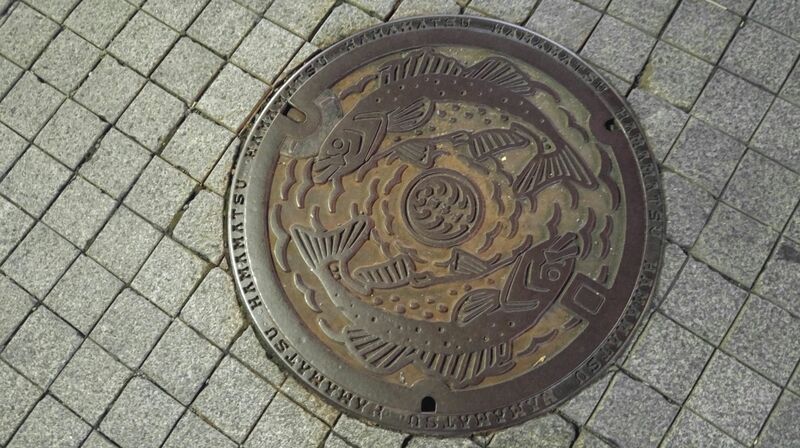 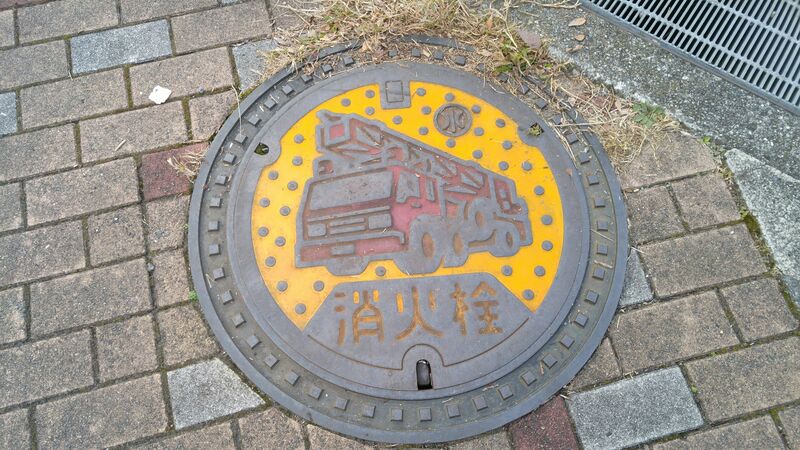 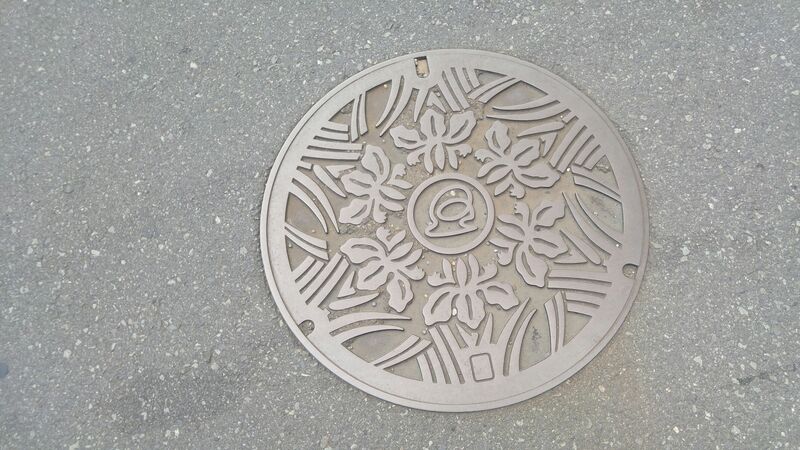 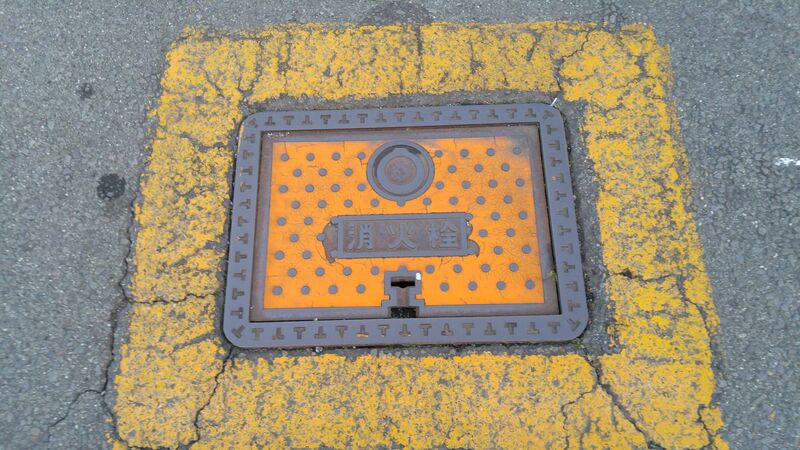 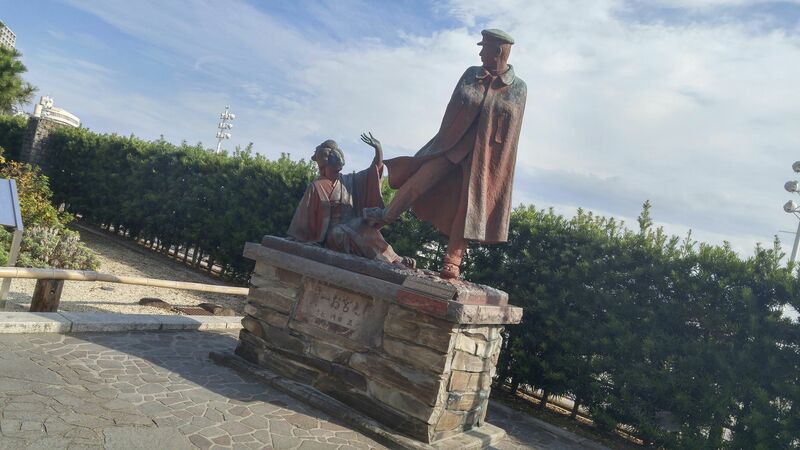 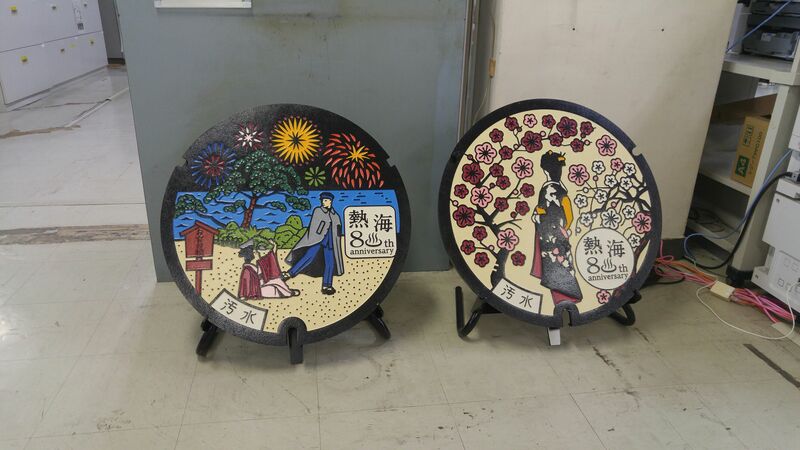 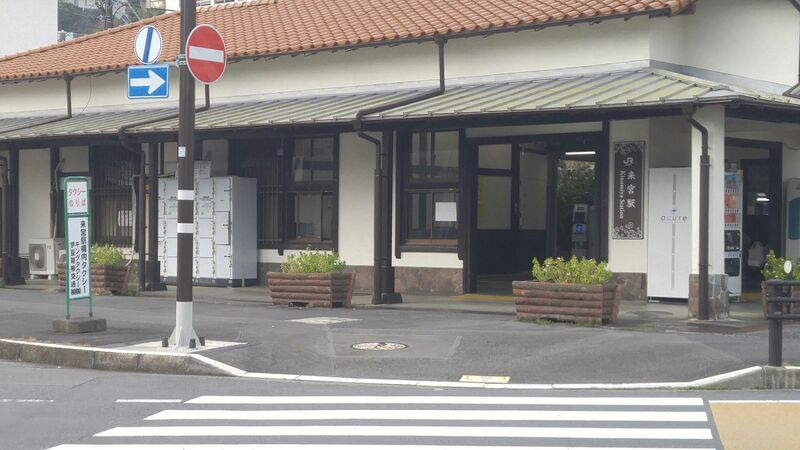 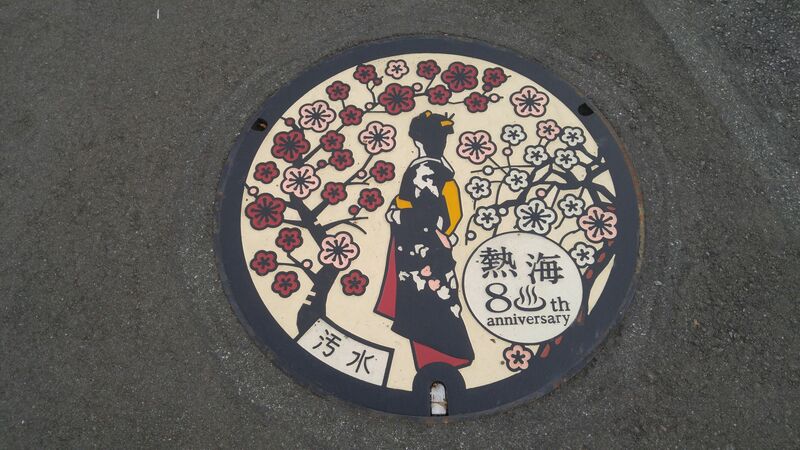 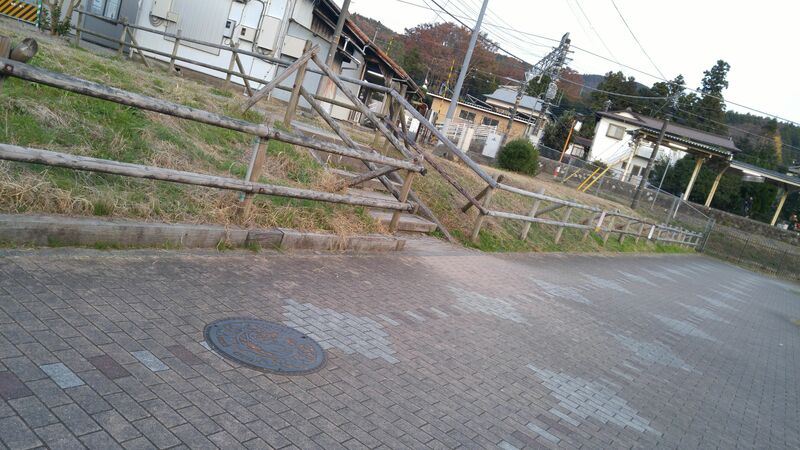 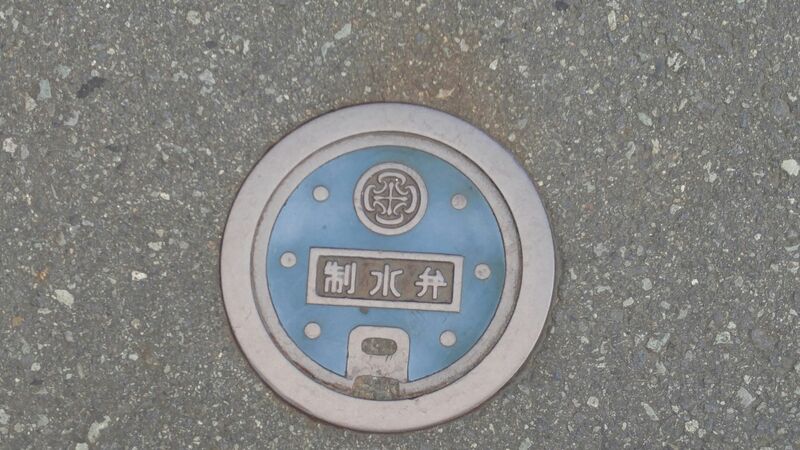 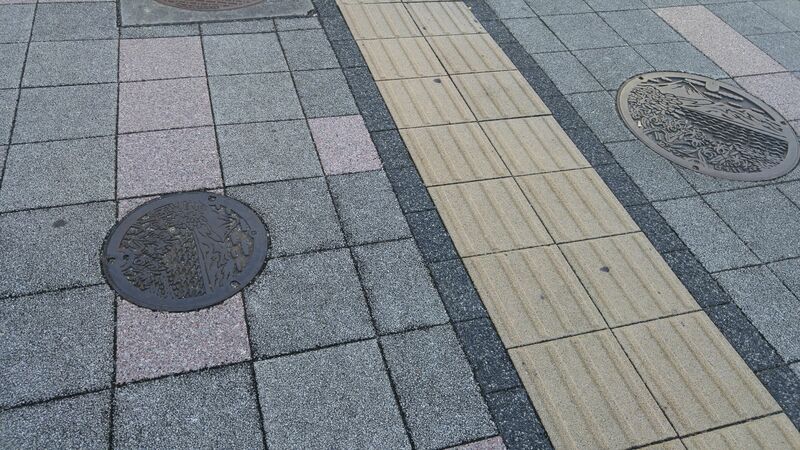 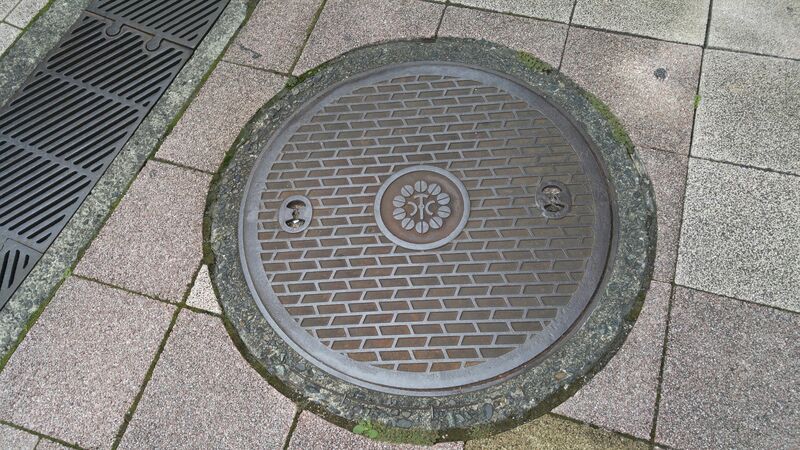 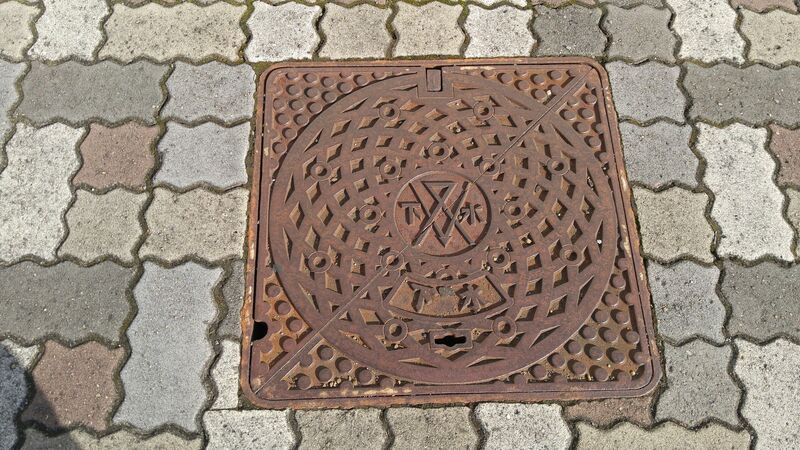 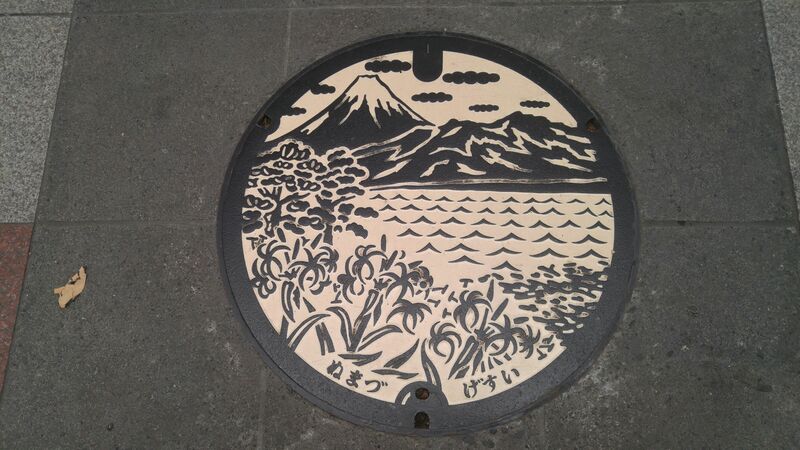 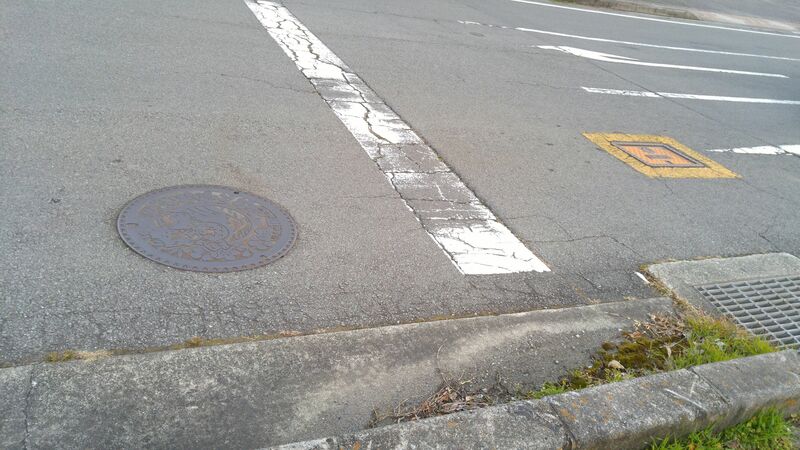 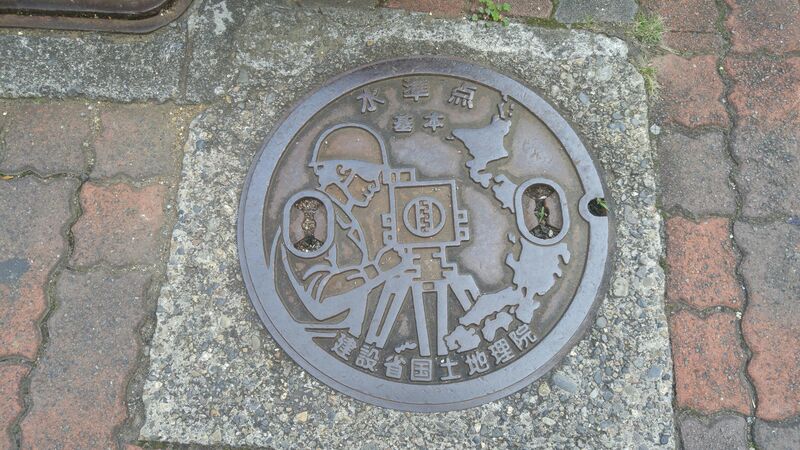 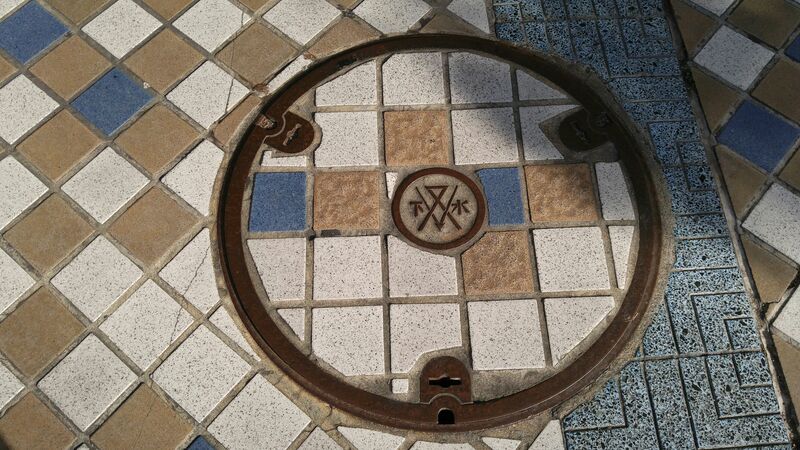 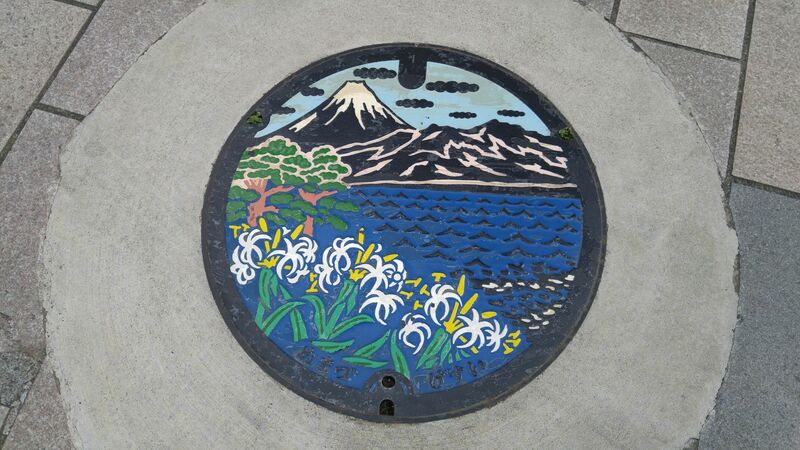 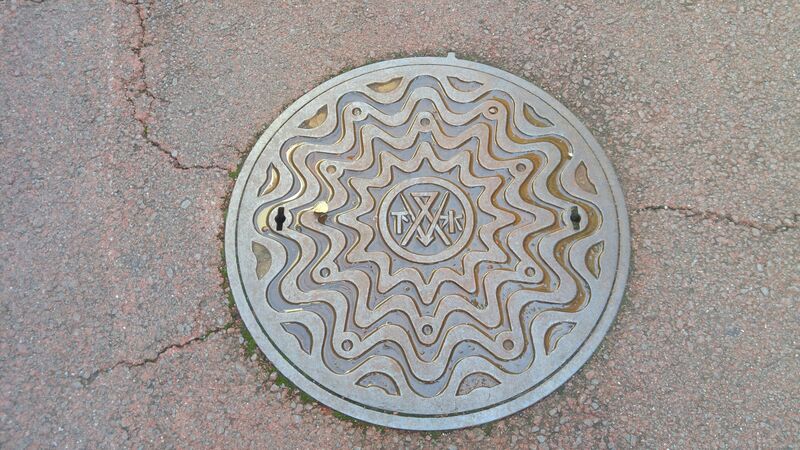 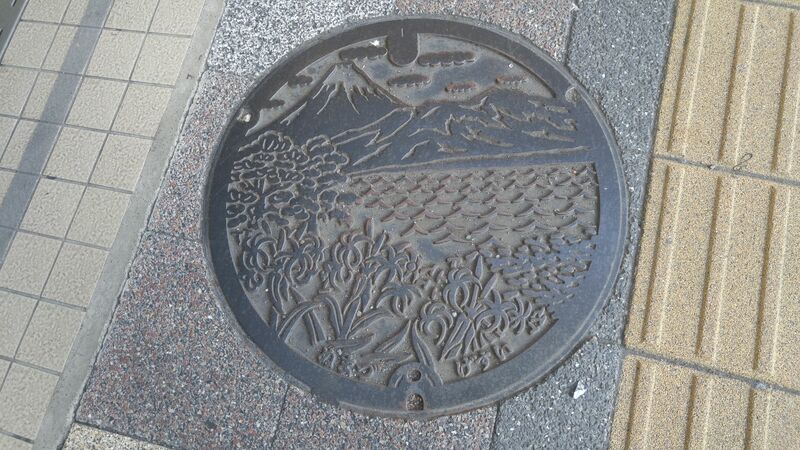 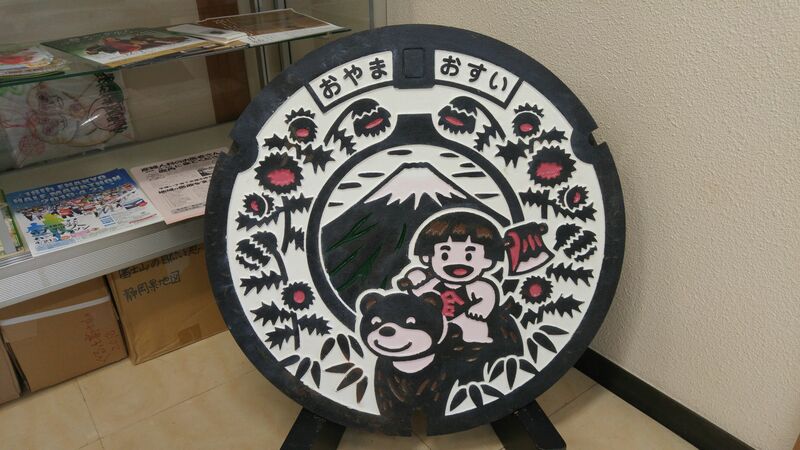 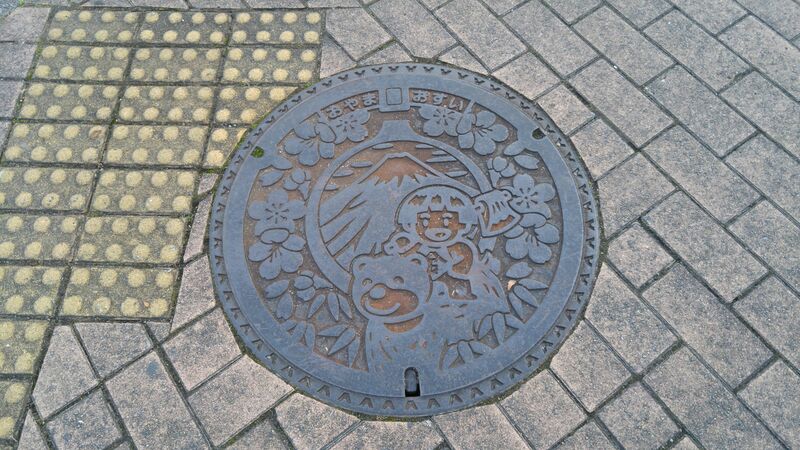 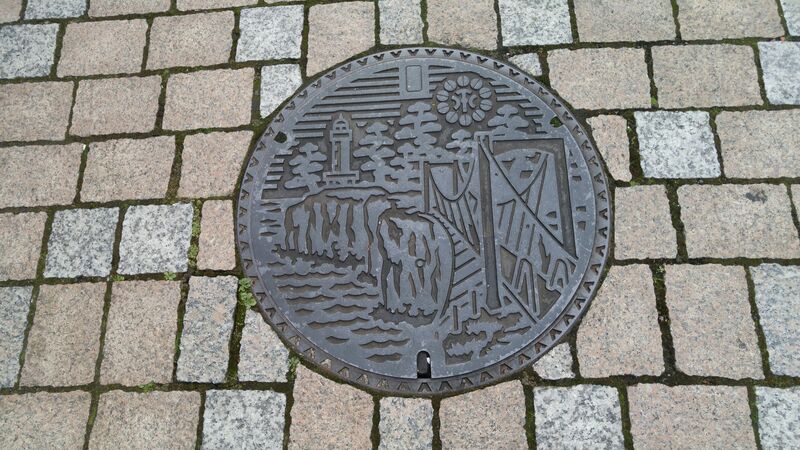 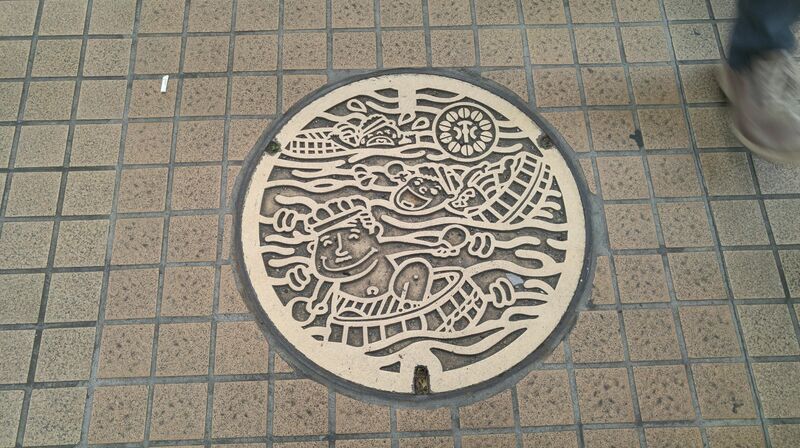 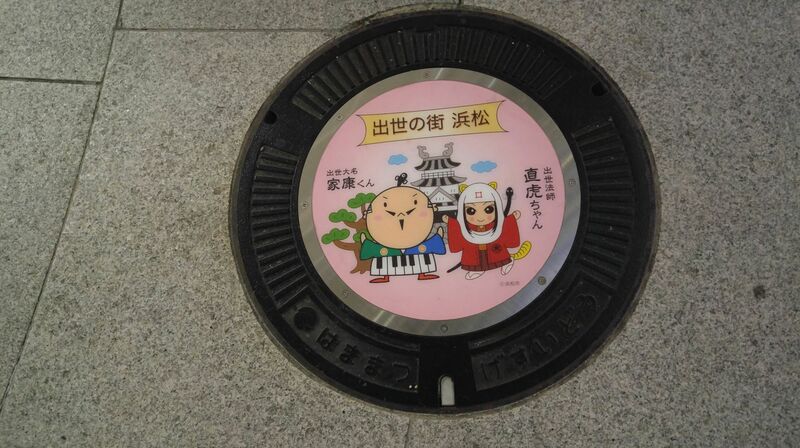 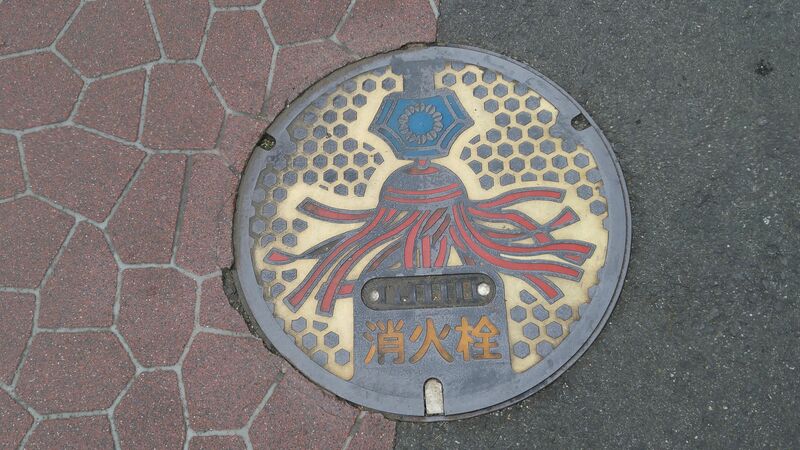 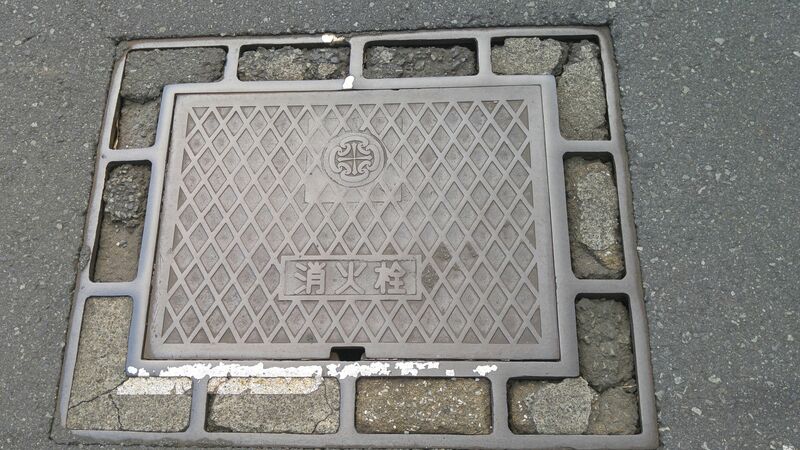 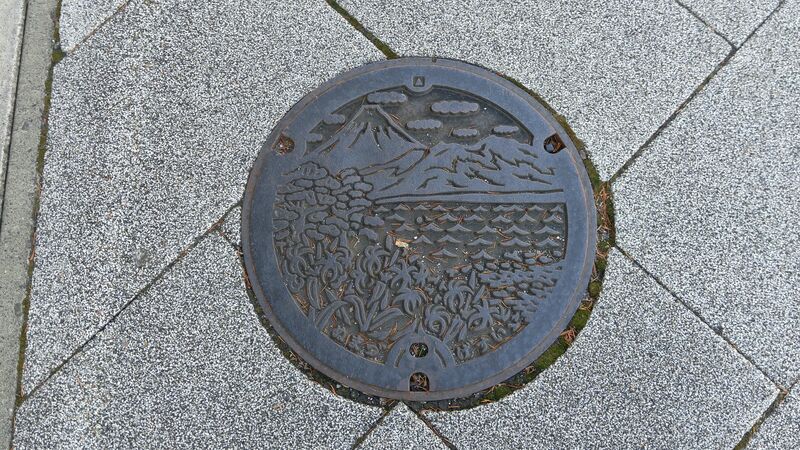 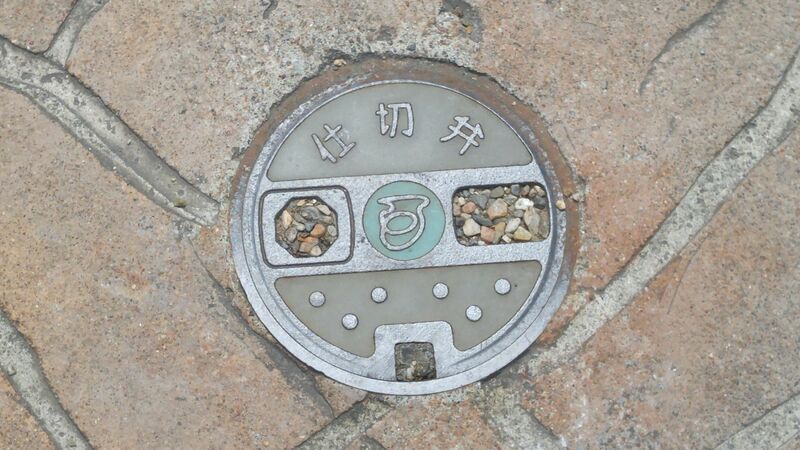 Manhole Covers in Shizuoka Prefecture 48: New Rescue Kinghishers Cover in Shizuoka City! 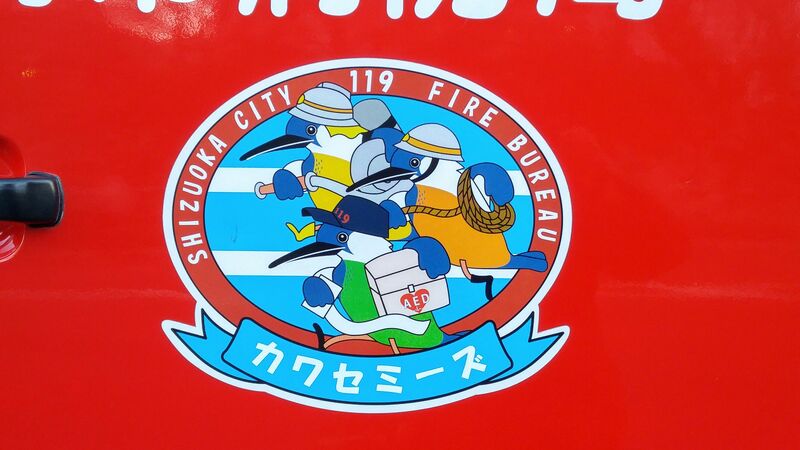 A couple of years ago the Shizuoka City Fire Department adopted a new logo you can now see on all their vehicles, ambulances included. 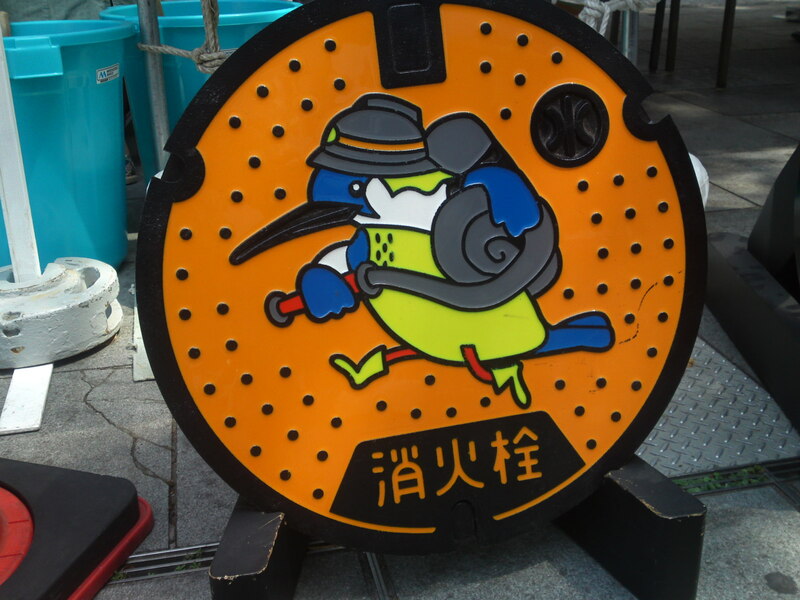 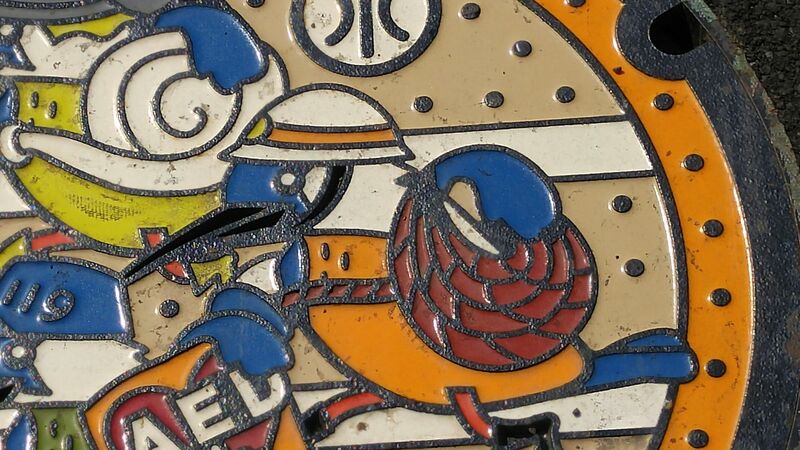 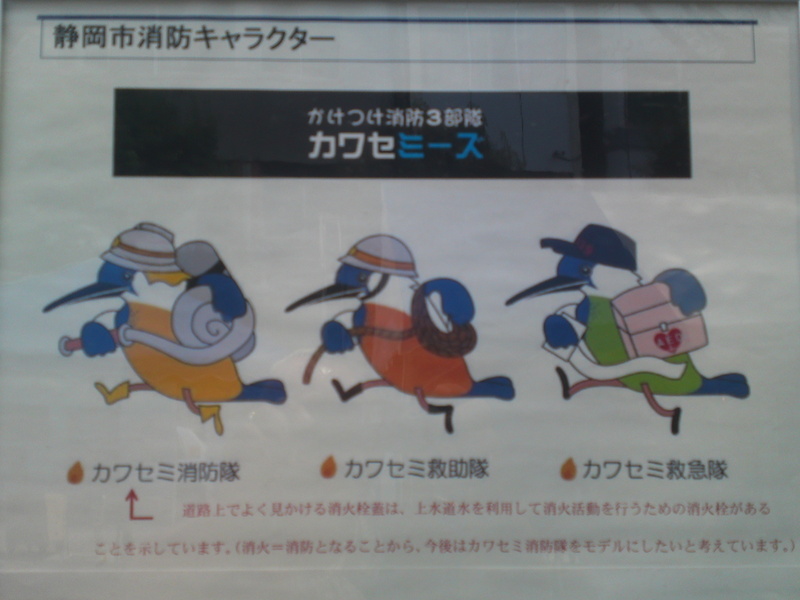 The “birds” are kingfishers, the emblem birds of Shizuoka City! 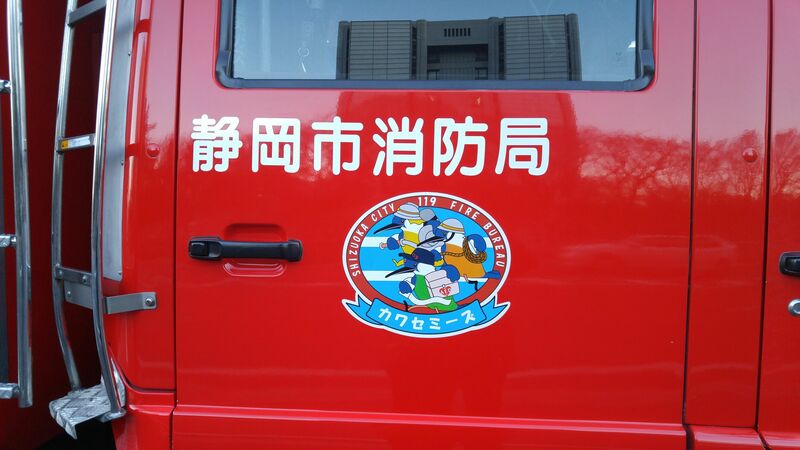 The first kingfisher is a fire fighter, the second one a rescue team member and the third one a mdeic with the ambulance services! 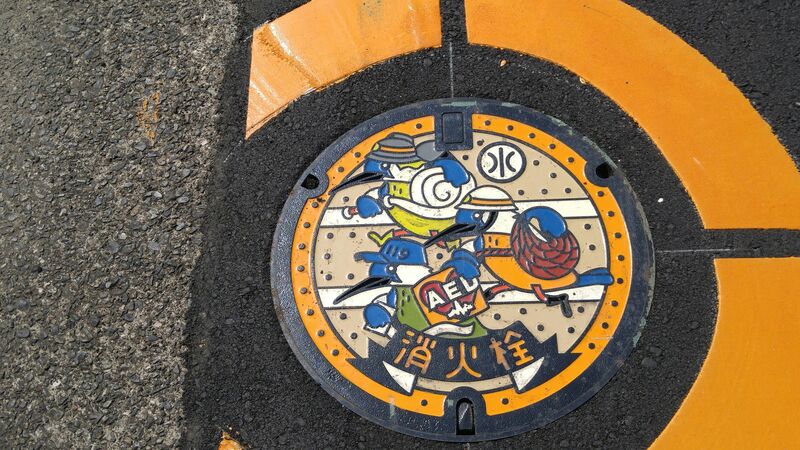 A new manhole cover was created at the same time bearing the fire fighter kingfisher ut it was never used as it was found too slippery in wet conditions! 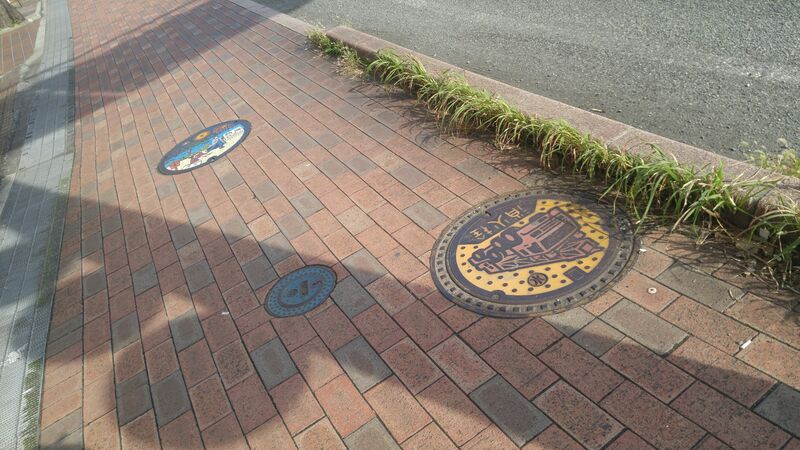 Finally in July this year the new design appeared in the streets of Shizuoka City! 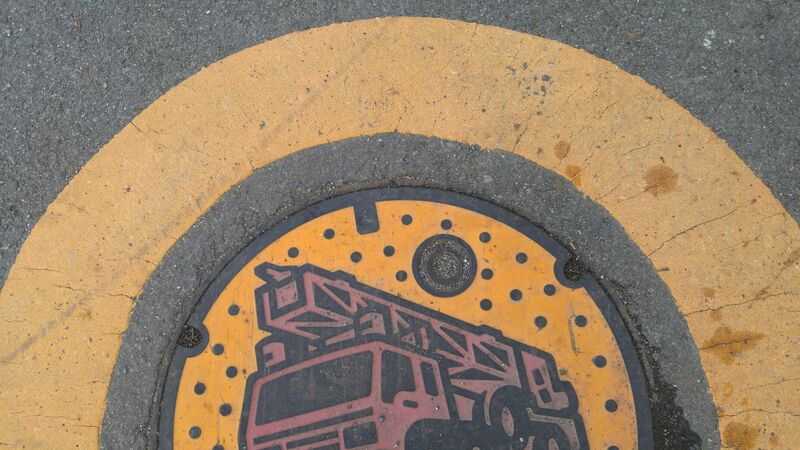 Note that this particular manhole cover is used only over fire hydrants and the yellow circle has been painted around it to make it easier to find at night! 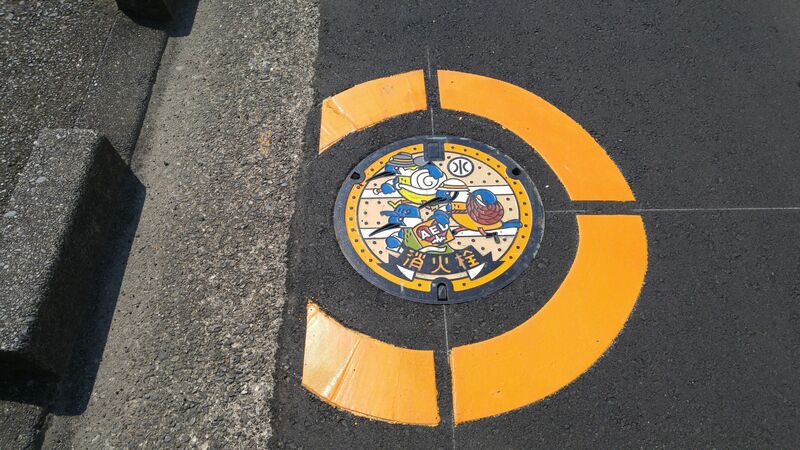 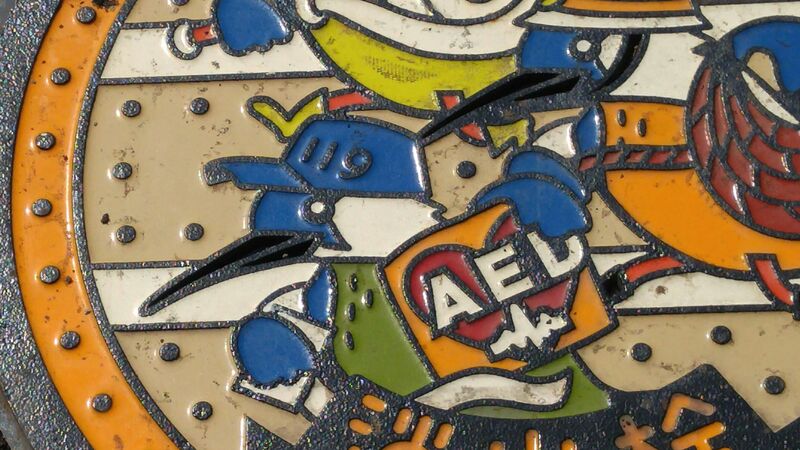 A very colorful design, indeed!